The two enormous Tulip Poplars towering on either side of the lawn portico of Thomas Jefferson’s Monticello transfixed visitors for decades. In 2008 the southwest tree succumbed to old age and had to be removed for safety reasons, having not leafed out that year. In June of 2011 the northwest Tulip Poplar was also removed, as its enormous shaped leaned towards the house and it was feared to suffer from the same root disease that had killed the southwest tree. A cross-section of the N. W. Tulip Poplar’s lower trunk was sent to Dr. Daniel Drukenbrod of Rider University definitively dated the tree to 1808. This dovetailed nicely with Jefferson’s April 16, 1807 entry in his Garden Book: “planted 1. Laurodendron in margin of S. W. shrub circle from the nursery.” The two tulip poplars appear to have been sister trees, and they are greatly missed for the sheltering presence they provided the house all those years. The bowls from the N. W. Tulip Poplar show extraordinary density and character due to the tree’s age, the soil it grew in, and remnants of lightning rods and cabling throughout. Fred Williamson has done various turnings for Monticello since 1997, both architectural pieces and bowls from other significant trees on the property. Known for his one-of-a-kind bowls, he has turned bowls and been a full time woodworker since 1972. Fred works at his studio in White Hall, Virginia, in the foothills of the Blue Ridge Mountains. 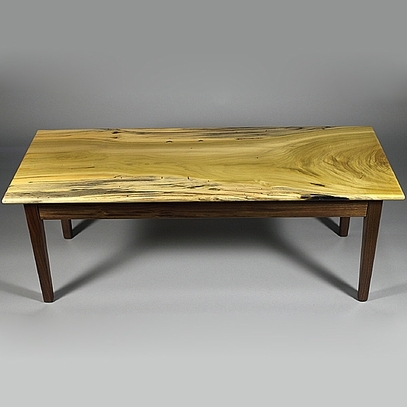 This one-of-a-kind coffee table is made with Tulip Poplar II for the top and Walnut base and legs (also a Monticello tree). 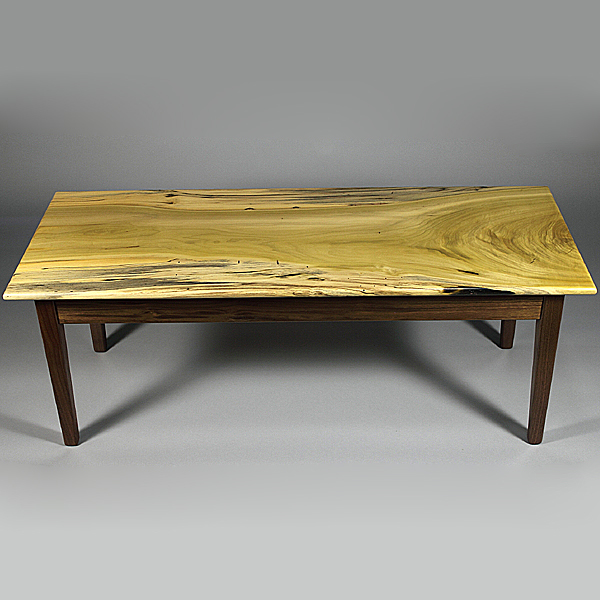 The table is signed and number and measures 47” l x 18 3/8”d x 17 1/2"h.